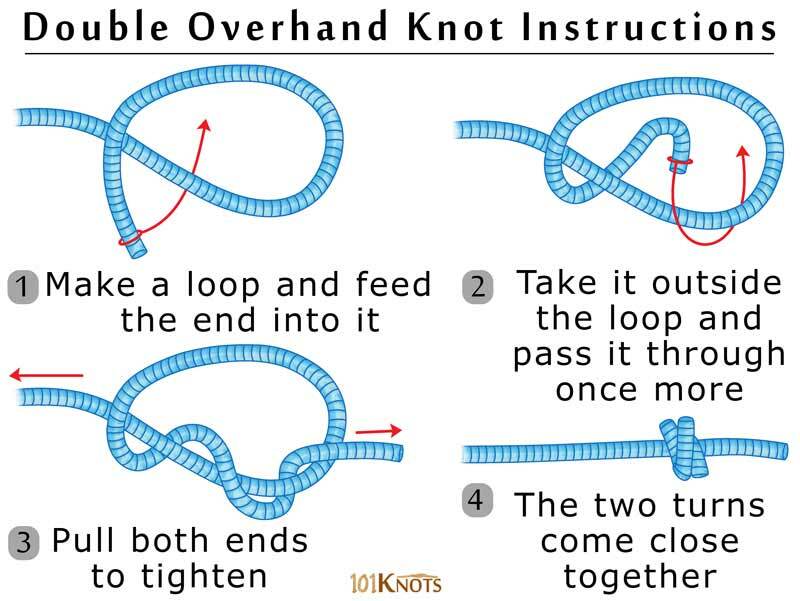 The double overhand knot is nothing but the simple overhand knot with an extra tuck inside the initial loop resulting in a larger form. When used as a bend it serves the purpose of connecting 2 strands. Overhand knot – Smaller, easier to tie and untie. 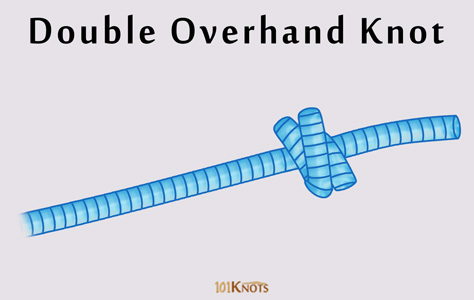 Triple overhand knot – More complex. Double fisherman’s knot – Uses a couple of the above knot one tied around the standing part of another. Surgeon’s knot – Leading it to be also named as the double surgeon’s knot. Figure 8 bend – For seizing the ends securely. The step by step video instructions shows the tying procedure in detail.